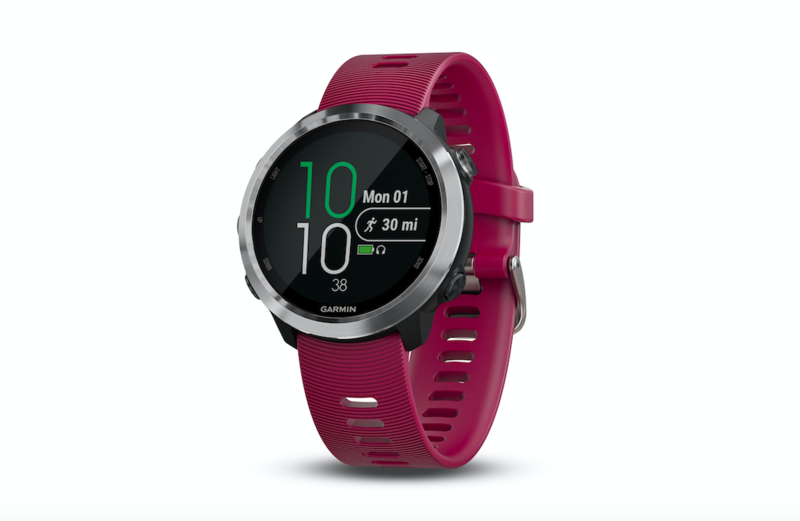 Garmin(R) introduces the Forerunner 645 Music – a GPS running watch with integrated music and Garmin Pay contactless payments | JustRunLah! Garmin today announced the Forerunner® 645 Music, a GPS running watch with integrated music that gives athletes the freedom to enjoy their favorite tunes on a run or during a workout without having to take a phone along. Additionally, when in need of a bottle of water or a quick bite to eat, Garmin Pay™ contactless payment solution lets users pay for purchases with their watch and keep on moving. Whether out for a run with friends or gearing up for race day, the Forerunner 645 Music makes it easier for runners to get the data they need. In addition to 24/7 heart rate monitoring, it includes advanced running dynamics, performance monitoring tools, connected features and thousands of ways to customise with free watch faces, widgets, data fields and apps through the Garmin Connect IQ™ store. With the introduction of the Forerunner 645 Music, the sporty style of the Forerunner line is getting a sophisticated makeover; the metal bezel, chemically strengthened glass and interchangeable bands make it easy to wear all day, every day. Mr. Engelhard (Al) Sundoro, Managing Director, Garmin South Asia. Featuring similar high-end fitness, wellness and smart connectivity features as on previous Forerunner devices, the Forerunner 645 Music gives users an extra pep in their step with on-device music storage, up to 500 songs. Download offline playlists from select music streaming services, or transfer music from a computer directly to the watch. Once the playlist is loaded, pair the Forerunner 645 Music with a set of compatible Bluetooth® headphones (sold separately) and go. Garmin Pay, a contactless payment solution, means athletes can leave their cash and credit cards at home and still stop for a bite to eat along their route. Utilising their Garmin Pay wallet, users have the same rewards and benefits of the physical cards, with the convenience of having them right on the wrist for contactless payment. The Forerunner 645 Music allows athletes to go even further with their running data. Clipping the Running Dynamics Pod to the waistband allows users to see all six running dynamics, including cadence, ground contact time, stride length and more on their watch without the need for a chest strap. Built-in GPS and GLONASS let athletes track how far, how fast and where they run – no phone connection required. Go for a ride, swim, walk and more to take advantage of even more features available on the Forerunner 645 Music. Furthermore, users can view and follow downloaded courses on their wrist, race a previous activity and train with simple intervals or follow complex workouts. In the pool, the Forerunner 645 Music will track distance, pace, stroke, personal records and more. With an array of connected features, the Forerunner 645 Music lets users stay in touch with the rest of the world, even while on the move. When paired with a compatible smartphone, it automatically uploads to Garmin Connect™, an online fitness community where users can track workouts, sleep patterns, join online challenges to compete against friends and earn virtual badges. 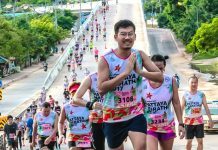 Directly from the wrist, users will be able to receive and respond to text messages, invite friends to follow their runs in real time with LiveTrack, and view social media updates, emails and more. 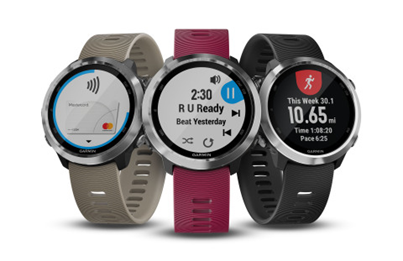 Easily customisable through the Connect IQ store, Forerunner 645 Music users can download free data fields, watch faces, widgets and apps including UBER ETA, SmartThings, AccuWeather MinuteCast and more. The Forerunner 645 Music features up to seven days of battery life in smartwatch mode and up to five hours in GPS mode with music. Weighing roughly 42 grams, this is the first Forerunner to feature a stainless-steel metal bezel and always-on Garmin Chroma Display™ that is easy to read — even in direct sunlight — and is housed under chemically strengthened glass. When you want to change it up, swapping bands is fast and does not require the use of any tools. It also features a reliable five-button interface that allows users to mark laps with a quick press. The Forerunner 645 Music is available with a black or cerise band and has a suggested retail price of SGD 669. An option without integrated music capabilities – the Forerunner 645 – is available with a black or sandstone band with a suggested retail price of SGD 599. The Forerunner 645 Music and Forerunner 645 will be available from 31 March 2018 at Advance Lap, Best Denki, Challenger, Courts, Gain City, Harvey Norman, Isetan Scotts, Tangs @ Tang Plaza, Takashimaya and all Garmin authorised retailers. All images courtesy of Garmin . All product names, logos, and brands are property of their respective owners. All company, product and service names used in this website are for identification purposes only. Use of these names, logos, and brands does not imply endorsement.